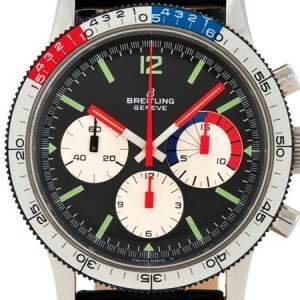 The history of the Breitling brand started in 1884. You can read about in the stopwatch section here. 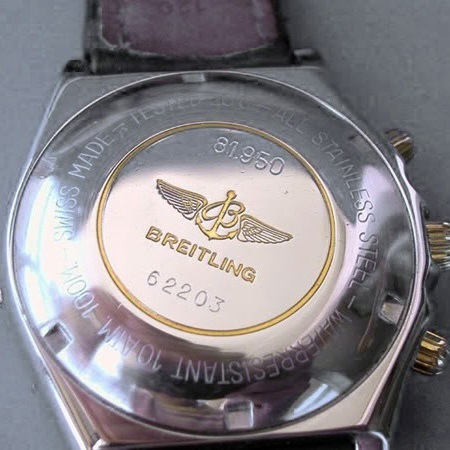 Breitling had started with their 765 AVI Co-Pilot series already in 1953, and the brand added a first Yachting version (reference 765-Yachting-CP) in 1966, followed by a second one with a newly designed handset the next year. More versions followed in the years after: the slightly bigger reference 7650 Yachting (1969), later changed to reference 7660 (1970). All these models used a Venus cal. 178 movement. In 1969 Breitling had also started with their ‘big case’ Chrono-Matic series with reference 7651, with an even by today’s standard huge diameter of 48 mm. Driven by a cal. 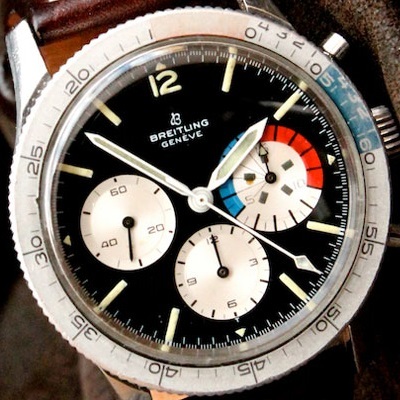 Breitling 11 movement (that was developed together with Heuer, Hamilton-Büren and Dubois-Dépraz), one of the first automatic chronograph movements with a date window at 6 o’clock and the crown at 9 o’clock. And later there was also a reference 7652-Yachting version available, which again had the cal. Venus 178 movement. 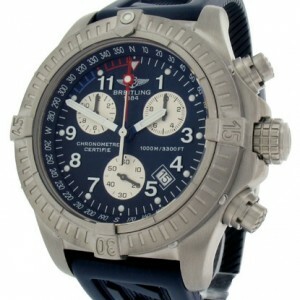 Breitling Co-Pilot 765-Yachting, 7650-Yachting and Chrono-Matic 7651-Yachting. All these Yachting versions have both a 15 minutes subdial, divided into 3 different coloured segments representing 5 minutes each, as well as a rotating bezel with a coloured 15 minute regatta scale. You can read more about the Yachting models in the Co-Pilot series by Breitling in two interesting articles by Ilias Giannopoulos, first part here and second part here. Due to the quartz crisis in the 1970’s which has led to the extinction of mechanical watches, also Breitling did launch some models with a quartz movement. But that couldn’t keep the brand from getting into financial problems. 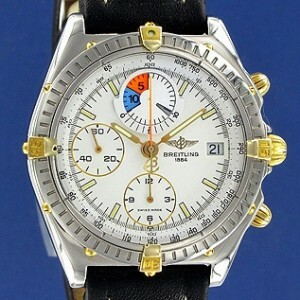 And after Willy Breitling died in 1979 the company was sold to the industrialist Ernest Schneider. He renamed the company in 1982 in Breitling Montres SA, now located in Grenchen, Switzerland. 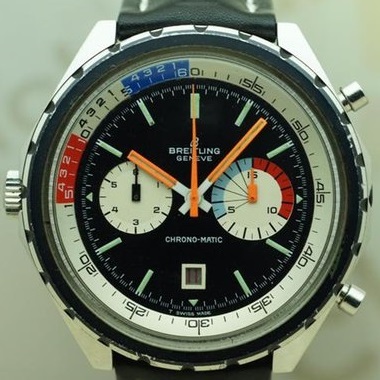 In 1984 Breitling announced the rebirth of the mechanical chronograph by launching the famous Chronomat series, which has since become one of their leading models, using the Valjoux 7750 movement. In 1989 the first Chronomat Yachting is launched, with the Valjoux 7750 movement (Breitling 13) modified with a 10 minute regatta countdown timer. Breitling describes this as ‘a 10 minute countdown aperture and double indication of the final minute before the start of the race‘, and has filed for this invention in several patents. You can download the Swiss patent CH676313B5 as a PDF here. Like the previous Chronomat with the moon phase complication, the Chronomat Yachting retains the same model reference 81950, and various versions of it are made until the mid 1990’s. Breitling Chronomat Yachting, with case reference 81950. Reference: 81950 1989 Chronomat Yachting. B13047, previous ref 81.950 also stamped on back 1990. 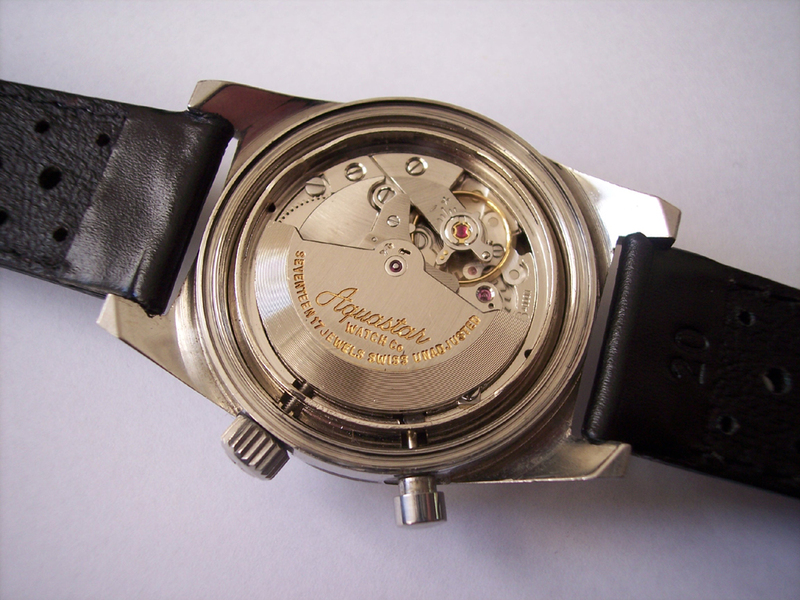 A13047 ca 1991 Chronomat Yachting. 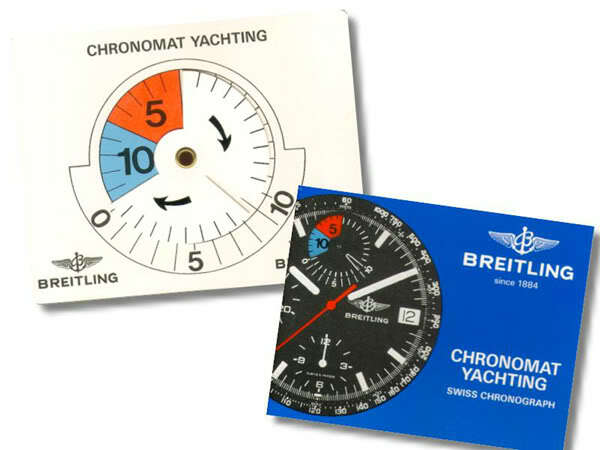 A13048 1993/94 Chronomat Yachting. A13050 1995 Chronomat Yachting. Caliber: automatic Valjoux 7750 (Breitling 13) movement. Case size: Ø 40,5 mm / 14,7 mm. Year: 1989 up to 1995. Instruction card and guarantee booklet for the Breitling Chronomat Yachting. The Chronomat Yachting was available in a steel case, a 18K two-tone case, a steel case with 18K gold bezel or a full 18K Yellow gold case. Either with a white (ref. A107) or a black (ref. B107) dial. And with a variety of leather straps or a steel Rouleaux bracelet, a steel Pilot braceler or a steel and 18K gold Pilot bracelet. Breitling Chronomat Yachting with a white or black dial. 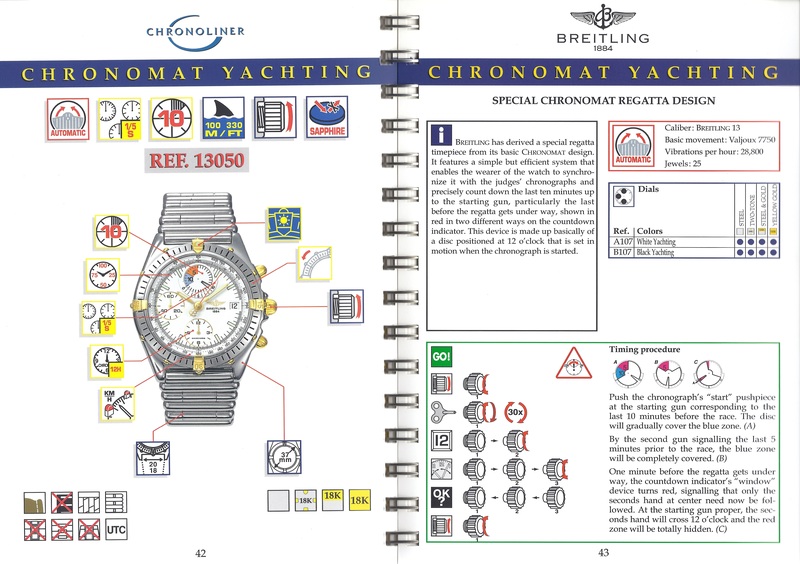 Pages 42/43 from the Breitling 1995 Sales Handbook, showing the Chronomat Yachting ref. 13050. After the Chronomat Yachting Breitling has made several other watches with a standard quartz ETA 251.262 chronograph (Breitling 53) movement with an easy to read 10 minute regatta scale along the outer edge of the dial between 10 an 12 o’clock, as the Chrono Shark Yachting (1993), the Chrono Colt Transocean (1996) and the Chrono Avenger M1 (2003). 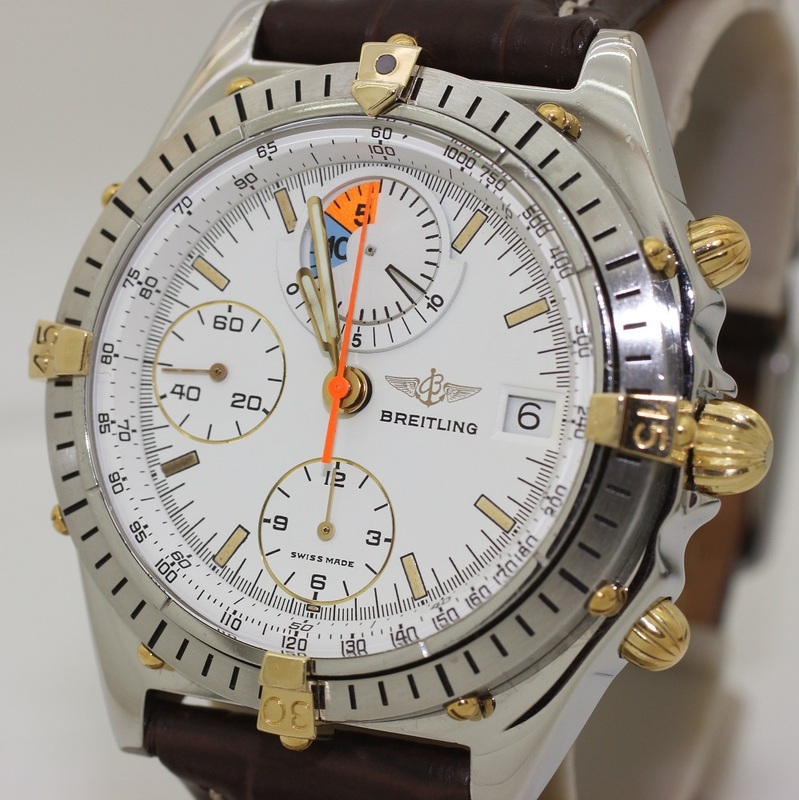 Breitling Chrono Shark Yachting, Chrono Colt Transocean and Chrono Avenger M1. 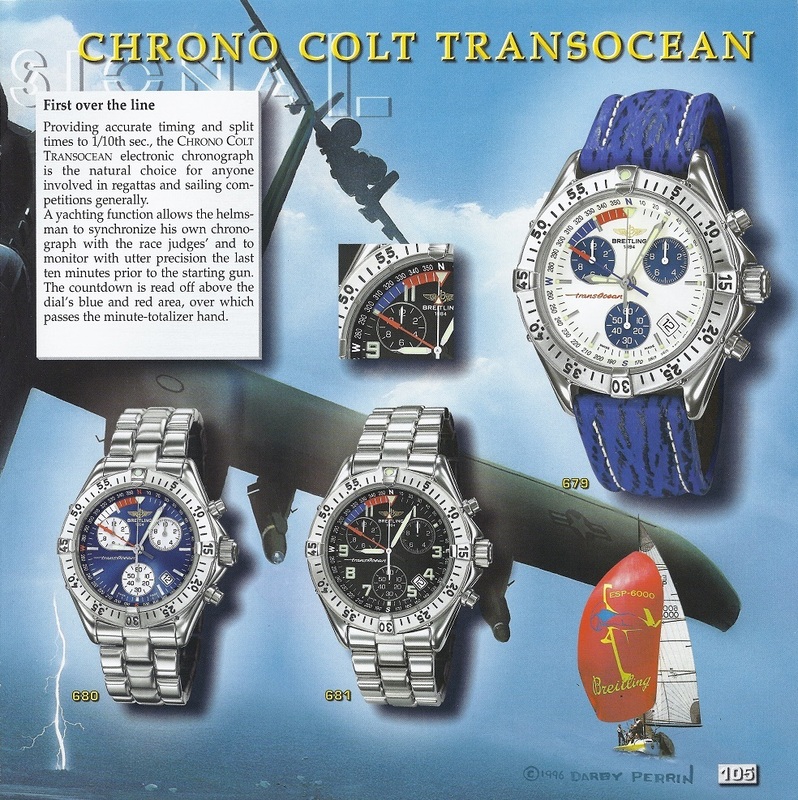 Page from the 1997 Breitling catalogue showing the Chrono Colt Transocean in different versions. 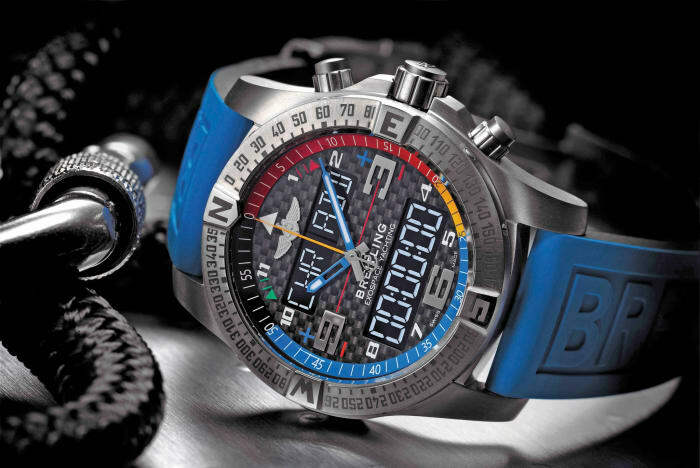 In 2018 Breitling introduced the Breitling Exospace B55 Yachting, after the launch of the Exospace B55 series in 2016. Delivered with either a blue rubber strap (ref. EB5512221B1S1) or a titanium Professional bracelet (ref. EB5512221B1E1). 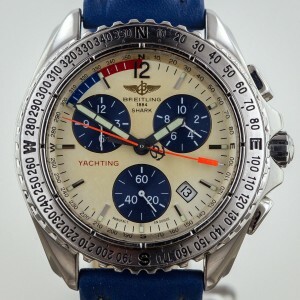 This Yachting version has a countdown timer and a possibility for a bleutooth pairing connection with the wearer’s smartphone. 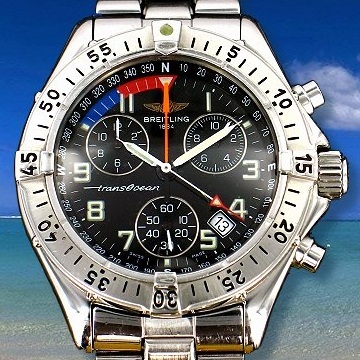 Breitling Exospace B55 Yachting with the B55 (Manufacture) SuperQuartz movement., powered by a recharchable battery. 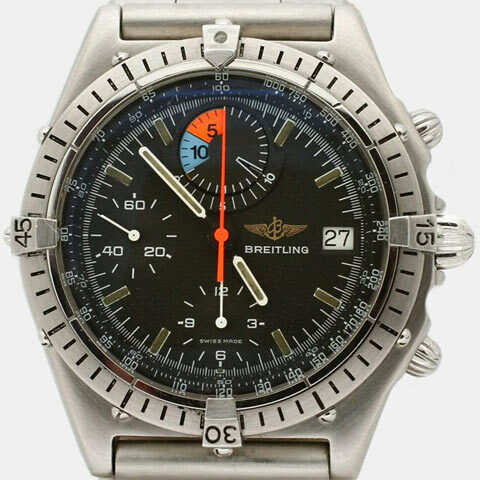 Breitling Chronomat, A short history to aid identification, Part 2: The Pilot’s Chronomats – 1984 to the present day, by Alan Trott.